We love the mix of old and new to help tell those tales and think a combination of the books we most love, some treasured artefacts and a few well-positioned plants can elevate a bookcase from boring to beautiful. Our styling team have been busy in the studio creating 3 handy videos on how to style your bookcase. Using a mixture of botanicals, books and collected items, they have some handy hints on grouping and integrating objects to get the best from your bookcase. All you have to do is sit back, relax and watch the videos! 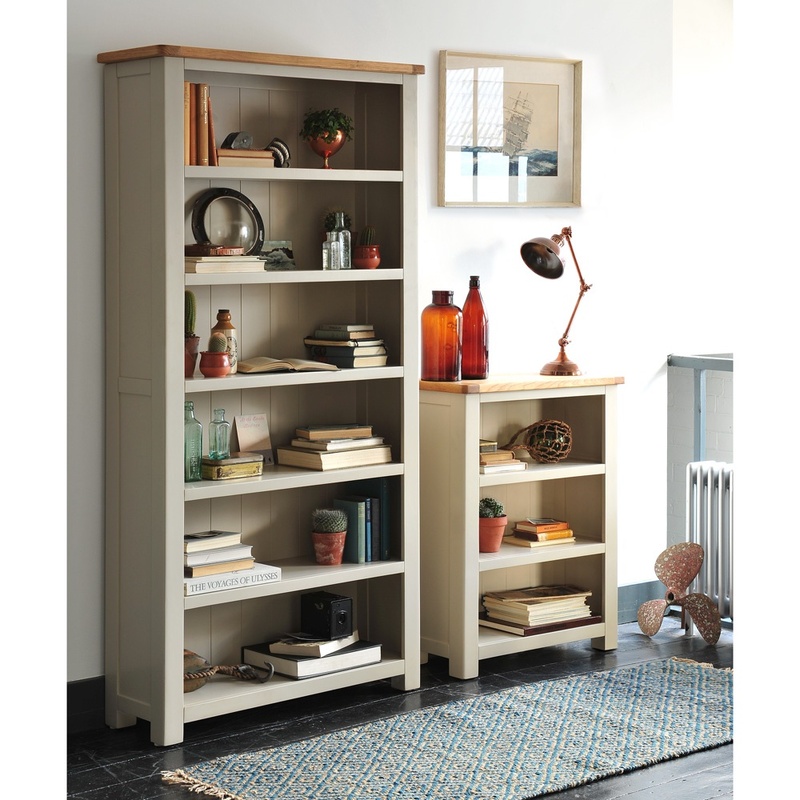 The neutral grey backdrop of the Lundy Large Bookcase offers the perfect platform for plants, cacti and succulents. In this video, our styling team explore how to integrate plants into your display for maximum effect. Warmth and cool contrast; balance the yellow tones in the timber of our Oakland Large Bookcase with dusty blues and greys. Integrate eclectic finds to inject some personality and character to your book collection in just a few easy steps. Our styling team re-style our firm favourite; the Lundy Grey Bookcase with a display that captures the modern country style we know and love at Cotswold Co. We suggest using neutral tones, muted browns and a variety of texture and personal photography to enhance your bookcase display.